Jay Conrad Levinson is an internationally acclaimed author and speaker. His tactics have increased the bottom lines of literally thousands of companies - large and small - on four continents. 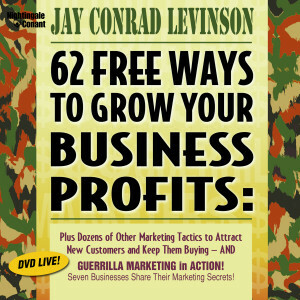 Jay Conrad Levinson is president of his own marketing and consulting firm, and developed the best-selling marketing book, Guerrilla Marketing: Secrets for Making Big Profits From Your Small Business.